Matrix have been specialising in 360 degree feedback as a tool for developing people for over a decade. We have harnessed the knowledge gained over many years collating and benchmarking over a 1,000 profiles and developed a bespoke employee feedback system, which uses the power of real time feedback to help individuals develop new leadership habits. 360 degree feedback is an excellent tool for individuals to get feedback from their reports, managers and peers and is most commonly used to set the direction for learning interventions. PeerPrompt goes beyond 360 using the behavioural development theories of Skinner and Locke of positive reinforcement and goal setting to embedd new leadership behaviours. Peer Prompt takes learning beyond the classroom or coaching session and transfers it to the workplace through a combination of active learning, buidling motivation and commitment to action, peer recognition and simple gamification. 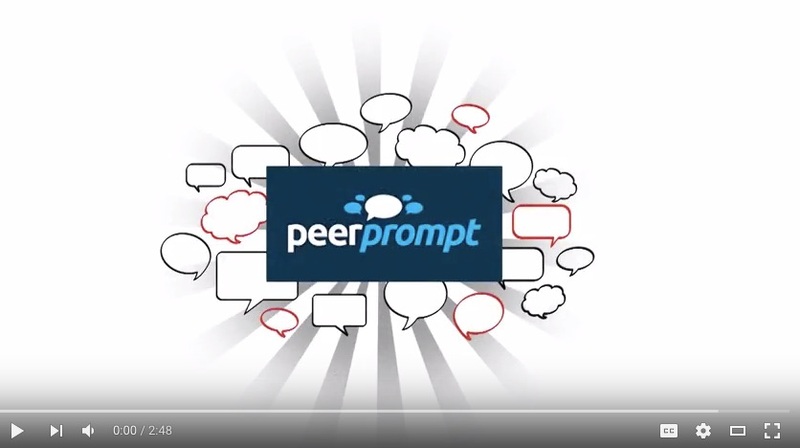 PeerPrompt is the first feedback app and online cloud based platform, which prompts for peer feedback to get the most from a learning activity. Behaviour improvements are recognised by others building motivation and creating lasting change. Users can provide real time feedback when the behaviours are observed. No more missed opportunities to provide positive feedback.